Don't delay any longer -- join in on the fun! Terry brought up that the Oregon Souvenir was a larger project than she had imagined it would be and I wanted to talk about it for a moment. THANK YOU Terry! Comments like this are wonderful and I encourage others to let me know their thoughts so we can discuss them and perhaps make a souvenir that really will be uniquely yours. Oregon's souvenir is a perfect souvenir to make 'any size.' I recommended that she consider making it half size or even three-quarter size. She had already planned on taking it to the copy shop to have printed so instead of having them print it full size, just let them know what size you would like it to be. Because we used fusible web for the applique and stitched it via our sewing machine, the size really can be any size you would like, including "larger." Let's open up discussion for this souvenir. Let me know your thoughts and questions. Don't hold it in because whatever your question/comment is will undoubtedly help other people out as well. Also, because I am the tour guide and because none of the attendees have to endure long lines at the airport, we will NOT be visiting the destinations in the order I mentioned in my earlier post. I'm going to bounce around to make it more interesting. 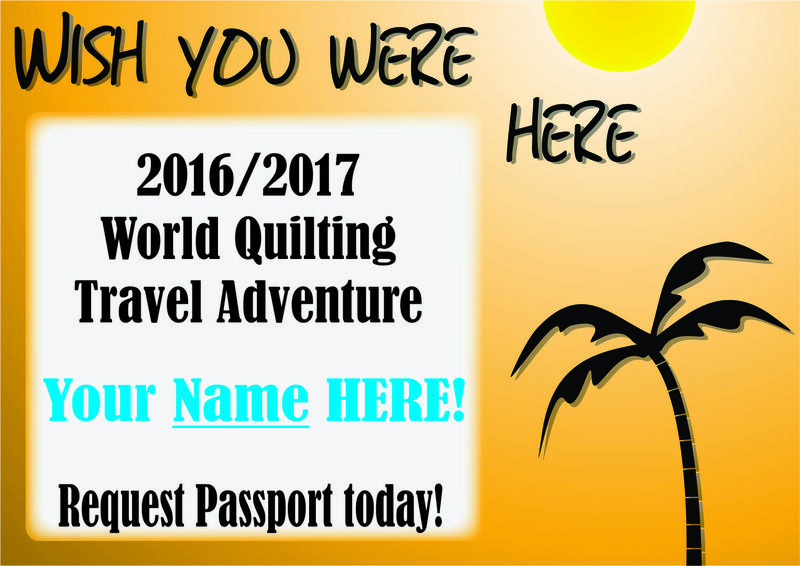 Please request your passport now if you want to receive the next souvenir for free. I really want to give away my patterns and knowledge to you as a thank you to all of the wonderful people who taught me various things during my lifetime. 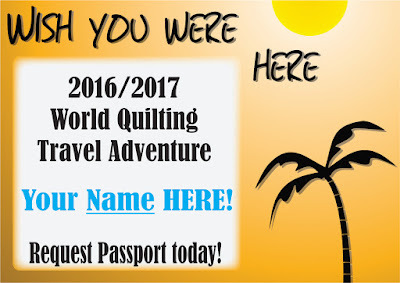 If you sign up after we have already visited a destination, you can still receive older souvenirs for $4.99 on my Craftsy page, but I really want you to have them for free. Signing up is easy. Leave me a comment letting me know you want to participate and then become a follower of my blog. Only 2 steps are necessary....easy peasy!